Job Search Academy offers an engaging learning model that will deepen your competencies and increase your confidence to help job seekers in today’s tough jobs market. 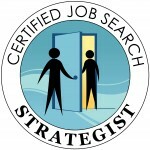 Their Job Search Strategist Program is an updated, sophisticated, and systematic program that goes DEEP into best practices for recession-era job search. 12 weekly classes from 1-3 p.m. Eastern time. Cost: $2597 for 4 monthly payments of $577.